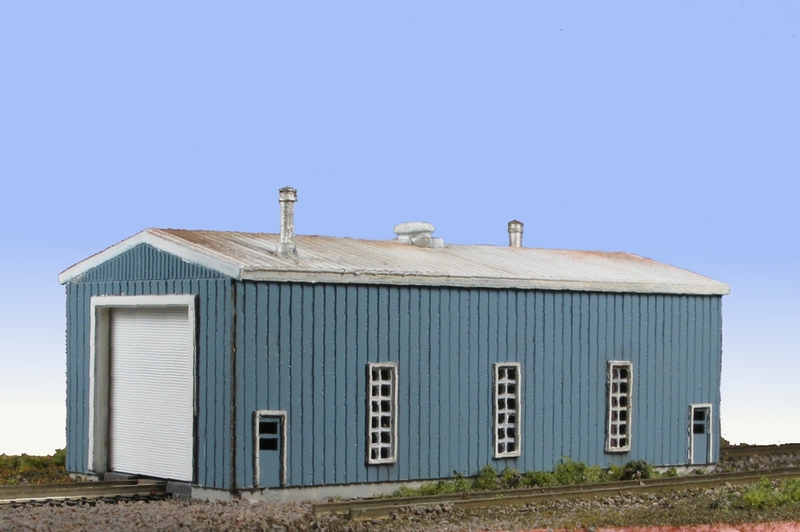 Diesel Engine Houses like this were constructed along railroads at most rail yard facilities. 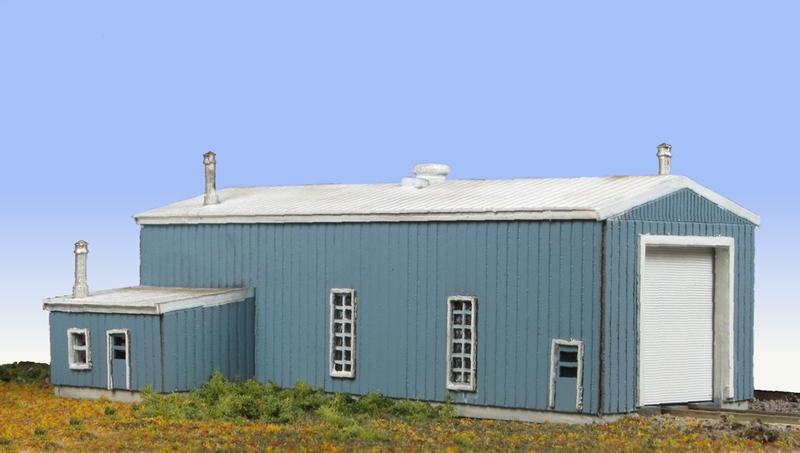 After steam engine roundhouses were retired, diesel engines needed a more modern facility in which to maintain them. These buildings often included door cabinets, supply cupboards, lube oil, sand storage bins, automatic oil burning space heaters, a desk and clothes lockers. 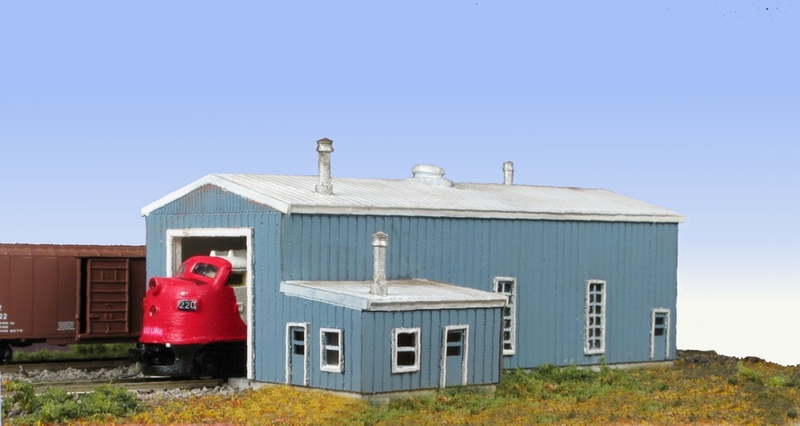 This engine house has space for one locomotive and includes the smoke jack vents to exhaust the diesels. Laser-etched, simulated metal siding and roofing. Lead free cast metal roof vents, smoke jacks. Send mail to monroemodels@embarqmail.com with questions, comments or inquiries. Copyright © Monroe Models, all rights reserved.